Stocks are grinding higher, yet again today…despite sour earnings from tech giant Alphabet. Remember back on December 24, when the media and papers were warning investors about the upcoming bear market. The market’s fear index, the VIX was trading at 36 (it’s now below 16), and the Russell 2000 index (the benchmark for small-cap stocks) hit bear market territory (a decline of 20% or more). But what does the new me do? I trade what I see…and I don’t let my opinions interfere with the act of making money. That said, I’ve been sticking to my bread-and-butter trades ONLY. Like this trade I put on in Melinta Therapeutics (MLNT), a catalyst breakout, leading to a next day gap up. In other words, when you become a client, you’ll see me talk about the same patterns, catalysts, and areas of value…over and over again…via chat, email, and text. In fact, I’m one of the few real money traders who live streams their account during the trading day. Those are my trading results from last month… nearly $200,000 in trading profits, on a $200,000 trading account. In case you’re wondering what is possible once you master my three simple strategies. However, there is nothing that says you can’t do even better. 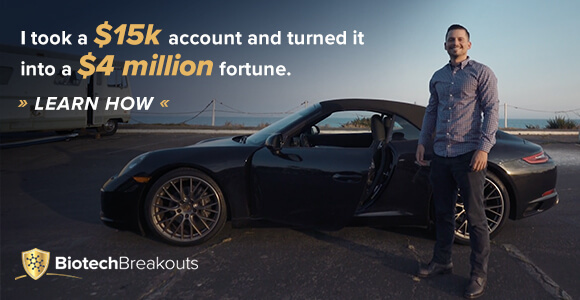 For example, my star student, Kyle Dennis (he’s hosting a live webinar in two days, register here) went on to make over $2M in trading profits last year. Well, if you want to make yourself a better today, right now, follow these steps I’ve laid out for you, and thank me later. Discipline, discipline, discipline is the name of the game. You see, if you’re just trading to try to make money, you’re just gambling. I’m not about that life. I’m here to trade my best setups because those are what will make me money. But how do you figure out your bread-and-butter setups? First, you need to find out what’s costing you money. Now, late last year, I was running high, making money left and right in small cap stocks, as well as penny stocks, all while most traders were getting crushed. Then, I decided to experiment and trade options – taking a six-figure loss in Apple (AAPL) options in December. Call that experiment growing pains. Once I booked that loss, I knew I needed a change and to persevere. I did just that in January… and made that loss back and then some. I took some necessary steps to better my trading – that meant getting a good night’s rest every night, focusing on my health, and remaining disciplined – focusing only on patterns, value, and catalysts. One easy way to find out what’s wrong is journaling. I’m going to be real with you… when I was riding high, I thought I was unstoppable and didn’t need to journal. What do I mean by journaling? It means you write down all of your trades, and I mean all of them… losers, winners, and break-even trades. Additionally, write out how you’ve been feeling, sleep patterns, diet, and any other reasons you can think of that might affect your trading. If you don’t know how to journal, don’t worry… I’ve got you covered. Where did I buy, stop out, or take profits? Did I make money on the trade? Did I only trade my A+ setups? Once you find a pattern of what you’re doing write, stick with that. If you’re taking trades that are constantly costing you money, cut it. Now, the first bullet point is something you should always take into account. All of my trades have plans. For example, here’s a look at a case study of one trade, in which I go over my plan and what exactly I did to book $7,325.94 in profits. With this stock, I focused on the catalysts and pattern. This is one pattern I focus on when small caps are raging, which the Russell 2000 Index was doing at the time. Notice the blue trendline and the annotation. DGLY was making higher lows, and was poised to break above the blue horizontal line (also known as resistance or the supply line). There were three potential catalysts: a potential takeover, a looming trial date, and another company filing an 8-K (noting its patent infringement could affect the company negatively, which would benefit DGLY). There was a high probability that all three of those catalysts would hit, and the stock would break out of the blue horizontal line. Here’s a look at what I sent to Millionaire Roadmap members. Well, here’s what happened with the trade. Once the stock broke out, I snatched $7,325.94 trading DGLY. I traded Digital Ally (DGLY) today, and I made money in the trade. I stuck to my plan. I bought the stock at $2.80, and my stop was below $2.50. My target was above the purple horizontal line since I was looking for a gap fill. My edge was in both patterns and catalysts. My thesis was the fact that there were three potential catalysts that could’ve sent the stock higher. Moreover, there was an ascending triangle, which has worked for me in the past and is one of my A+ setups. I was feeling great that day, I got enough sleep, I exercised, and my mind was in the right place. I was disciplined only focused on the pattern and catalysts. Now, your journal could be much more detailed than this. But these are the basic things you should include in your journal. When you plan your trades and journal, you’re able to find your strengths and weaknesses. 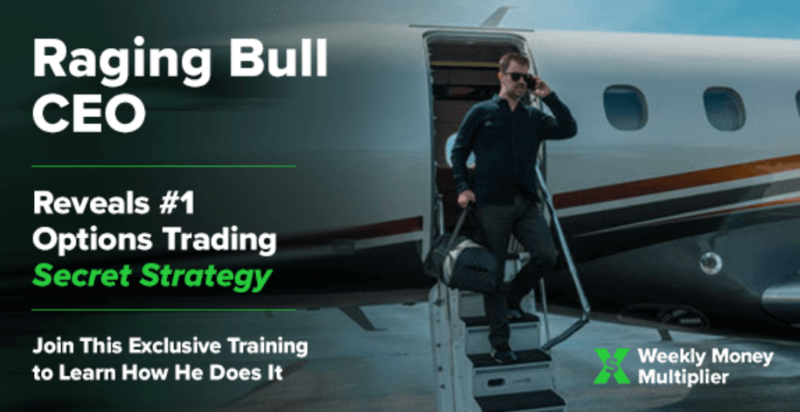 In December, my weakness was trading options just because I saw other traders like Jeff Bishop and Kyle Dennis making money in them… the fear of missing out (FOMO) was real. However, once I wrote out all of my trades and factors that were negatively affecting my trading performance, I realized my strengths: trading small cap stocks and penny stocks, patterns, finding areas of value, and catalysts. You see, I reviewed my journal and noticed I make most of my money using three patterns and combining them with catalysts (potential events that could send the stock higher). Once I figured out my strengths, it was pretty easy for me to remain disciplined and only focus on those setups. I like the things trading gives me – wealth and freedom. I know some people get into trades because they are bored, have FOMO, or want to stroke their egos…but that’s not what this game is all about. It’s about staying disciplined, identifying your strengths, and sticking to the plan.